Life can take us through some mountaintop moments and some grueling times in the valley. The toughest times are when we already feel like we are in the valley and we hear God calling us to extend ourselves further. The end of the rope can feel like it is slipping through our fingers and we realize we can not go further in our own strength. At other times, life can be smoothly moving along and everything can feel like it is in a good balance. God once again calls and we are tempted to pretend to be deaf to the call, because we know it will take us off the smooth road as we know it. Homeschooling is like having a baby. God will provide the resources if we will just step out in faith. Like many other calls in our life, God demands a step of faith rather than carefully formulated plans. Many times, He provides the carefully laid out plan only after we take the step of faith. 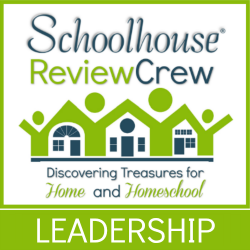 So what do you do when you feel called to homeschool, but don’t have a lot of extra money for curriculum and resources. Here are some things we have done over the years. We use our library for all kinds of homeschooling support. They offer free computer classes, have an abundance of non-fiction books and DVDs that can be used for research, science kits for elementary grades, and even free access to the Mango languages database for learning a foreign language. We have also used library resources to build complete science and history units by combining some non-fiction books on a topic, add in some living literature for reading, and then complement those with a DVD or an arts and crafts book or experiments book related to the topic. We have also made use of a lot of on-line resources. Google becomes a homeschool mom and student’s best friend. Simply type in what you are searching for and then add the word Free onto the end. You will be amazed at what will come up. There are times that we buddy up with another family. We choose to invest in one quality program that both families can benefit from and they invest in another. Both families make these half year classes and then we switch at New Year’s. Goodwill is also a good source for very economical homeschool materials that others have donated after they are done with them. I also search through sites such as www.vegsource.com, www.craigslist.com, and www.ebay.com for some great deals. Other times when funds are tight, we have sent out a request through our local homeschool group asking if anyone has the curriculum we are wanting to use and put into the request if they are willing to rent or loan the resource with the agreement that if any of the materials are damaged we will purchase a new copy. I also chose to learn to blog and became a part of the TOS Review Crew. By completing these curriculum reviews with our children, the curriculum reviewed becomes a part of our family library. These reviews take time and work so we really look at this as a stay-at-home part-time job. It has really paid off in that this year alone, each of our children are using these resources in their core subjects and we have things on the shelves that are already earmarked for use next year. Last but not least, it is always important to remember that when life throws you a real curveball, the Homeschool Legal Defense Fund has their homeschool foundation that exists for the purpose of aiding families that have no money to homeschool due to extenuating and lifechanging circumstances. They are there to help those that are truly in need. Most of all do not lose hope. God knows our every need before we utter it. He delights in providing for our needs and desires which will bring honor to Him. Sometimes we must humble ourselves in receiving blessings from others when we would much rather be the one doing the blessing. At those times, I remind myself that all that I invest in my children today will reap tenfold blessings in those that they touch in the remainder of their days as they seek to serve Him. you make some excellent suggestions, I am so glad that I stopped by. I am glad you stopped by as well. If trying to make ends meet and homeschool is a struggle, please know that you are not alone. God knows our needs and the desires of our hearts. It is not always easy, bu tdon’t give up!